Leslie Wilder, President of Sabon Industries, Inc., provides expert witness services and consultation services in product design and manufacturing, failure analysis, products liability, safety, and slips, trips and falls. Steven B. Kushnick, PE, Inc. Applied Forensic Engineering, LLC (AFE) is a multi-disciplined, independent consulting firm with an emphasis on forensic engineering investigations, condition assessments and expert witness services. We pride ourselves on finding and reporting the facts, without bias, based on the physical evidence. ATech Designs, Inc. is a five-time award winning product development, design and consulting company. We specialize in medical product development, engineer consulting and expert court witness work. Dr. Foster possesses a PhD in Welding Engineering and numerous certifications in welding, inspection, and engineering, all of which have exceptionally prepared Dr. Foster to properly analyze welding failures, welding designs and welding procedures that are the subject of litigation. 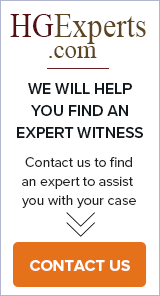 Providing Expert Witness services, litigation support, product development and consulting for the legal profession. I provide expert witness services to maritime related problems: Machinery Failure, Offshore Platform Failure, Oil Pollution, Maritime Collision, injuries, Marine Surveying and inspections, Marine Engineering, P&I. McGreal Forensic - Tim R. McGreal, P.E.